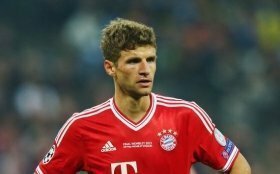 Manchester United boss Louis van Gaal is hopeful of sealing a summer deal for Bayern Munich star Thomas Muller in the summer. The German international has been in tip top form for the German champions this season. It is now believed that Muller, who has been long associated with a move to Old Trafford, could be the subject of a summer bid from the Mancunian giants. Muller has recently revealed of his close relationship with Van Gaal.